Illustration of the isolation of the EU. Sascha Steinach/Press Association. All rights reserved. The so-called European migration crisis and the populist political backlash that ensued – even if undoubtedly driven also by a number of other factors – have created all sorts of challenges for civil society actors. How to respond effectively to the increasingly hostile societal environment? How to “stay in the game” without giving up on core principles? What, if any, alternative political agenda should they put forwards? This text attempts to provide a rather sober reading of the situation at hand, and hint towards what I believe can be a way forwards. Not least in Central and Eastern Europe, we encounter signs of a shrinking space for civil society. While in certain cases, the evidence remains somewhat anecdotal, there nevertheless seems to be a general trend towards circumventing the modus operandi of not-for-profit actors. This includes substantial cuts in funding, increased bureaucratic burden, as well as a growing disregard for civil actors’ positions. The key reason for this development is quite straightforward: the increasing discrepancy between what not-for-profits advocate, and the policies that European politicians pursue (and that their electorates expect them to pursue). While to many, the decline of civil society actors is the ultimate worrying trend, others readily put it right at the core of their politics, denouncing rights-based NGOs as foreign agents and enemies of the people who shall be destroyed if they can’t be stopped. In my discussions with colleagues from the migration not-for-profit sector, I have been repeatedly astounded by the refusal on the part of some to admit to the political realities. Others strongly insist on taking radical positions which in their minds could form the basis of a countermovement to widespread public hatred and populist politics. Respectfully, I have to disagree. Let’s face it – history is not on our side. These are not times of great progress when it comes to human rights, let alone migrant rights. Rather, these are times for defending key past achievements, which are in imminent peril. As civil society, we run the risk of becoming substantially detached from the prevailing public discourse and excluded from political decision-making. This would be bad for ourselves, and it would be worse for the many in whose defense we speak. It is crucial that not-for-profits retain a say in decision-making and influencing the public discourse. To that end, instead of imagining another world, they have to get real. This means taking into account uncomfortable facts, engaging in painful discussions, standing ready to compromise, reaching out to non-traditional partners such as businesses and choosing one’s battles wisely. Not-for-profits must strive to rebuild their credibility using their unique, usually people-centered expertise. Without any doubt, the work they are doing in so many fields is fundamental and irreplaceable, even if many would like to forget that. In addition, civil society actors may want to invest more in data-based work, producing solid research outcomes that are less likely to be rejected outright by stakeholders. Indeed, in the post-truth era, getting facts across has become a challenging endeavor. I do not go as far as to claim that data gathering and analysis will transform by itself the emotionally charged discourse into a rational one – and, sadly, I do not have a definitive answer to this part of the riddle. Nevertheless, I conclude from experience that producing these sorts of outputs does boost the not-for-profits’ credibility and impact among political stakeholders and beyond. Particularly in the field of migration, it is no longer feasible for civil society actors to vocally denounce government policies without putting credible alternatives on the table. And by credible, I mean workable. 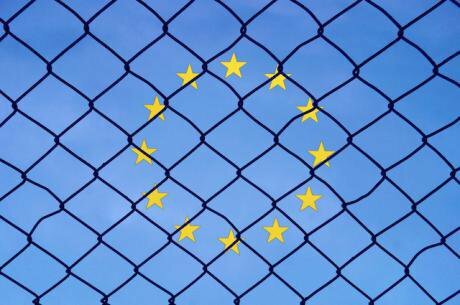 Not even the most progressive of European politicians stand ready to consider the notion of “no borders” and of an unrestricted human right to migrate from one state to another. In practical terms, it seems much more useful to start the discussion from the standpoint of human rights-imposed limits to legitimate border protection and migration control. As the civil sector, we should be prepared to actively engage in the whole range of migration policy. In practice, apart from asylum, this includes issues pertaining to labor migration and workers’ protection, integration measures including language requirements, regularization but also returns. As a case in point, we should come to terms with the fact that many irregular migrants will face return in the decades to come, and do our utmost to ensure that these do not take place to unsafe countries, that they are assisted rather than forced, and that there is reintegration support. Admittedly, the menace of the civil sector compromising its principles and thus losing credibility is also looming. Do not get me wrong. So many out there are doing a great job against all odds. A plurality of views inherent to the civil sector forms a basis for an important ongoing discussion on both values and tactics. And making concessions is, as it ought to be, painful. It is nonetheless my firm conviction that civil society actors may not simply limit themselves to discussing and litigating rights while forgetting about politics. In fact, the gap between formally entrenched rights and the popular resistance towards their full implementation has become a key issue of our time. We must avoid falling readily into the trap of what the Harvard professor Yascha Mounk calls undemocratic liberalism, which forms one of the sources of populist and chauvinistic politics. For civil society actors all around Europe, these are not easy times. We are used to being in the frontline of social progress. Now, we have to fight for our very relevance and, in some cases, survival. However, our role is perhaps more important than ever. An increasing number of politicians, particularly in Central and Eastern Europe, refuse to lend civil society an ear. We must reassert ourselves and keep dialogue open with all of those who do. Important food for thought can be found in an article on the US Democrats’ immigration policy. For undemocratic liberalism see here.